What would it mean to your business if you increased your win rate for strategic opportunities? How much would your revenue increase if you won 5% more Strategic Opportunities? How about 10% more? Many sales organizations have recognized that the gain would be very significant, and have tried to address this through a variety of opportunity planning methodologies. However, the traditional approach ignores a very important fact: Opportunity planning doesn’t increase your win rate, Strategic Opportunity Execution does. What would the impact be of growing revenue from your strategic accounts? What would be the impact if everyone on your team had the right talent to win in today’s marketplace? In order to consistently compete and win in today’s world of rapidly changing buyer preferences, evolving competition, decreasing customer loyalty and disruptive technology, sales organizations must continually develop their talent. What would developing a world class sales leadership team mean to your organization? Great sales leaders are catalysts that drive organizations to achieve breakthrough results, yet many companies struggle to consistently develop elite sales leaders. 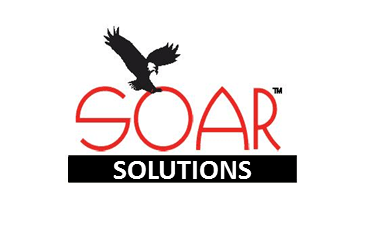 At SOAR Performance Group, we apply our proven approaches to Sales Leadership Development to enable organizations to reach new heights of performance.